Hello Folks! First of all we would like to thank you for landing on our page! Here you will be able to find all the Daily Crossword Puzzle Answers and Solutions for the most known crosswords. Our site is updated daily with all the crossword clues so in case you are stuck on a specific clue and can’t get past it, we would recommend you to use our search form and start typing the crossword clue that you are stuck in. Also please note that different clues might have different answers so in case you find an error or something missing do not hesitate to contact us and we will be glad to help you out! 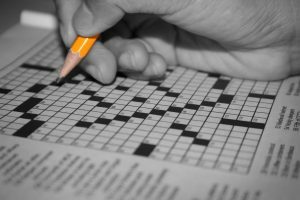 Give it a try to make a crossword puzzle, it is a beautiful new experience to see different people playing the crossword you created. NEW: Find out now all the CodyCross Answers, Cheats and Solutions in this exciting new crossword-type game! If you are looking for any jeopardy questions then the resource we have linked here is very useful as it contains a very huge database of questions and answers from the popular game show! Also we have created a huge database for Puzzle Page Answers. This is a new puzzle game created by AppyNation Ltd.